We offer saltwater AND freshwater fishing. 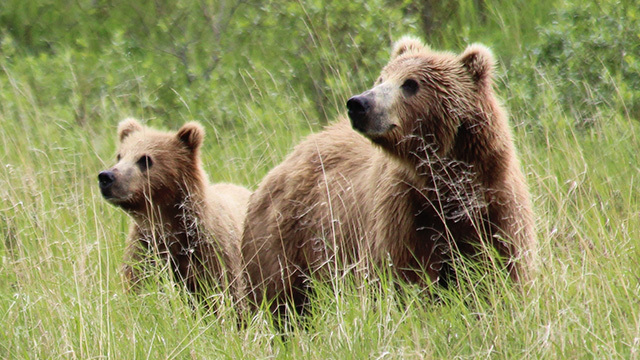 Experience the raw beauty and bountiful wildlife of Alaska - without the crowds. 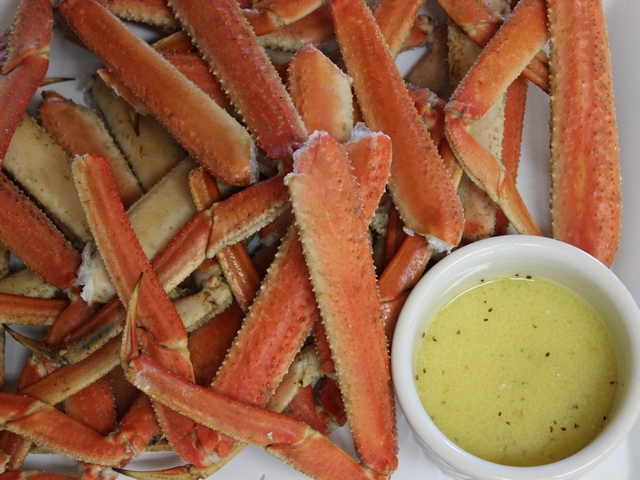 Tired of Southeast Alaska's restrictive limits? Ready for action and full freezers? 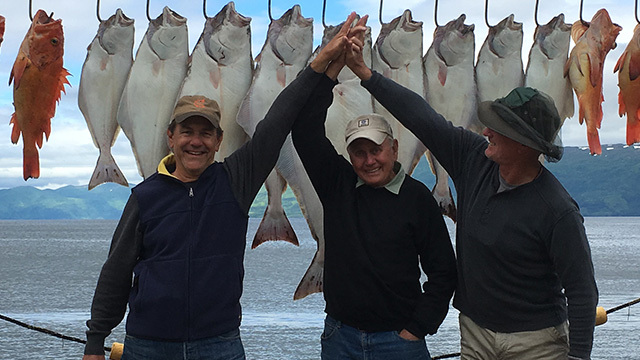 Come to Larsen Bay Lodge on Kodiak Island for two kings a day with no annual limit, two halibut a day with no slot, two lingcod per day with no size restrictions and liberal limits across the board. 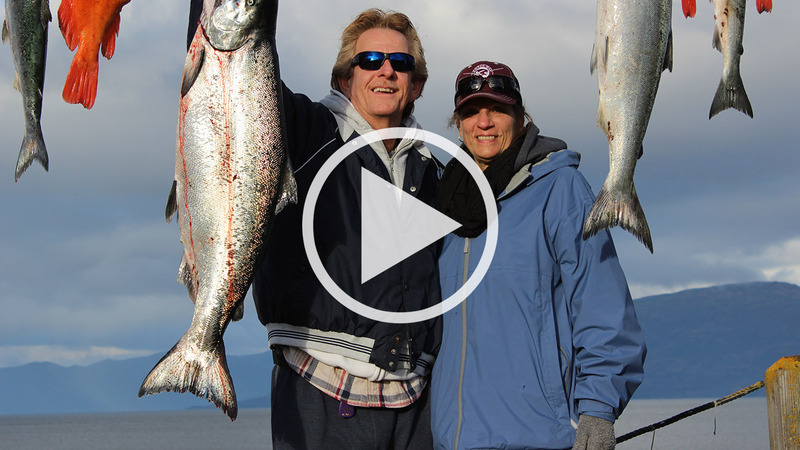 BIG salmon, BIG halibut, and BIG bears! We’ve wrapped up a banner season here at Larsen Bay Lodge and want to thank each and every one of you for making this an epic fishing season. We harvested a record amount of Sockeye, Silver Salmon, Dollies and thousands of pounds of Halibut and much, much more. The upgrades never stop at Larsen Bay Lodge. This year we added more top of the line fishing equipment, the 30’ boat Artemis to our fleet, an Amphibious Argo ATV, and built a 30’x50’ Quonset Hut that next year will house a new fishing cleaning facility. We hope you were enchanted by your visit to the Emerald lise and took home not only a full fish boxes but a treasure trove of fond memories. It’s too early to reserve your spot on the calendar for next year! 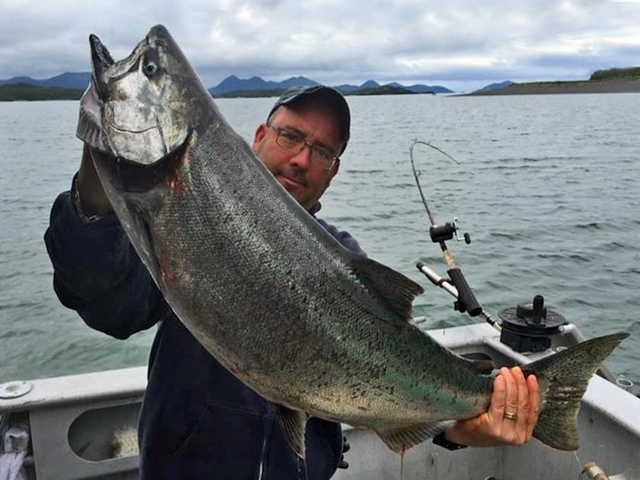 World class fishing adventures at Larsen Bay Lodge include all five species of Salmon, Steelhead, and Dolly Varden as well as saltwater fishing in near-shore protected waters for Halibut, Sea Bass, Lingcod, Salmon, Crab and Rockfish, including Yellow-eye, and more! 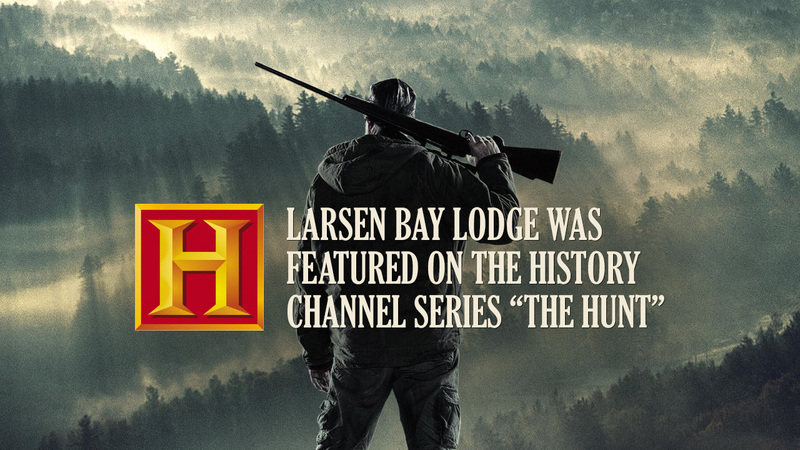 Hunting adventures abound at Larsen Bay Lodge with a long season and liberal limits on Sitka Blacktail Deer and wonderful duck hunting for such exotic species as Harlequin and Barrow's Goldeneye as well as predator hunting for fox (red, silver and cross fox). 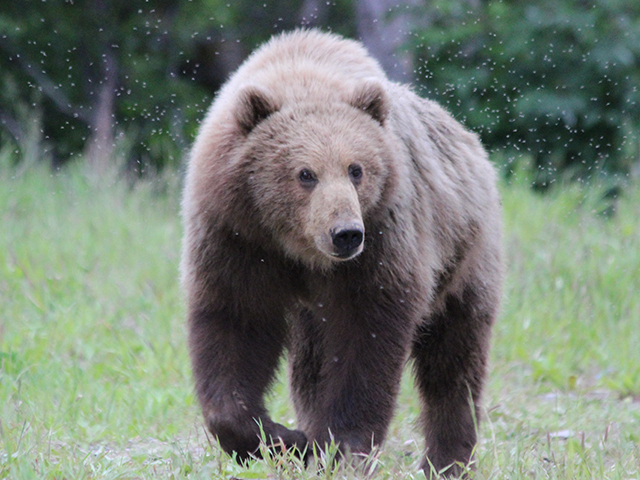 We also offer a limited number of spring and fall hunts for Kodiak Bears in our exclusive guide use areas. 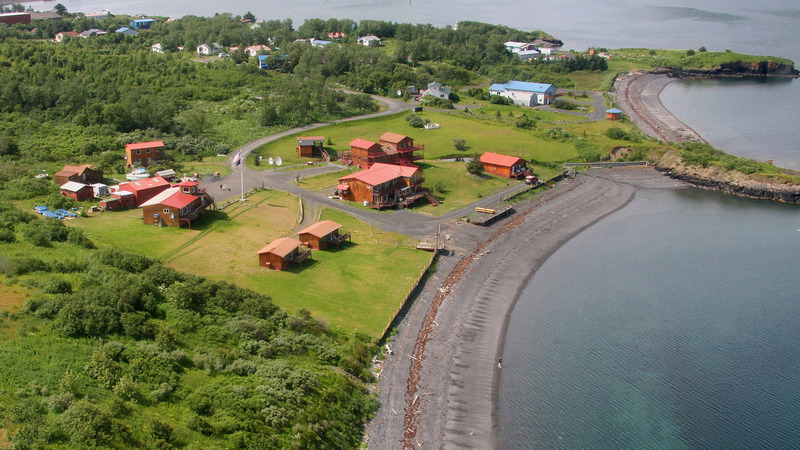 Larsen Bay Lodge, which is accessible by a short 30-minute flight from the town of Kodiak, has been in operation since 1979. Over the years there have been thousands of wonderful guests who have experienced this piece of paradise. 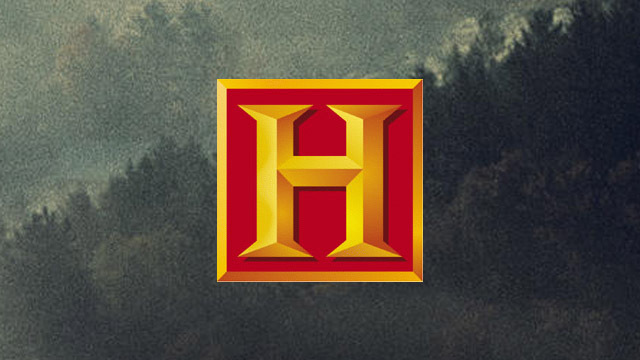 The lodge has been featured in dozens of television programs including ESPN Outdoors, Jim Zumbo Outdoors, Food Channel, and The History Channel, to name a few. Deluxe beachfront lodging and gourmet dining await! World Class Fishing and Crabbing! 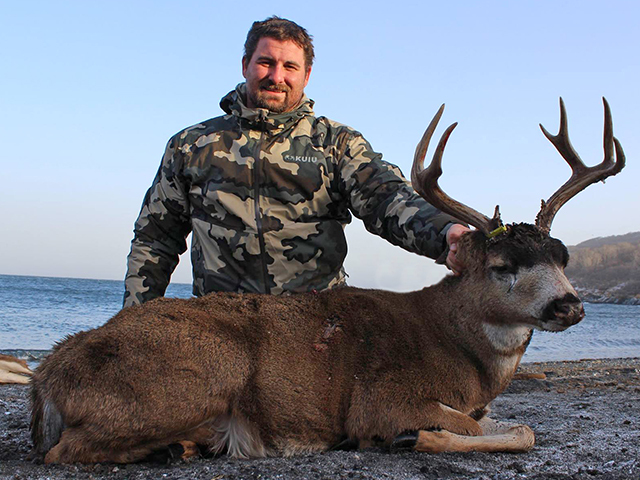 Sitka Blacktail Deer Hunting in Alaska! 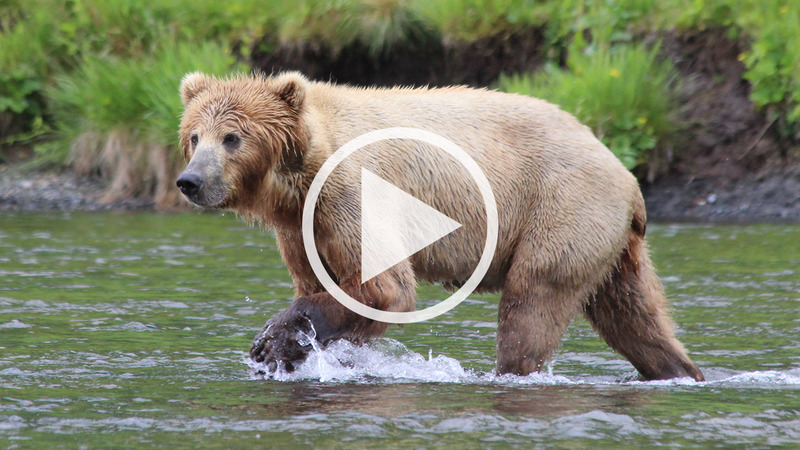 Walk in the tracks of the largest bears on the planet! 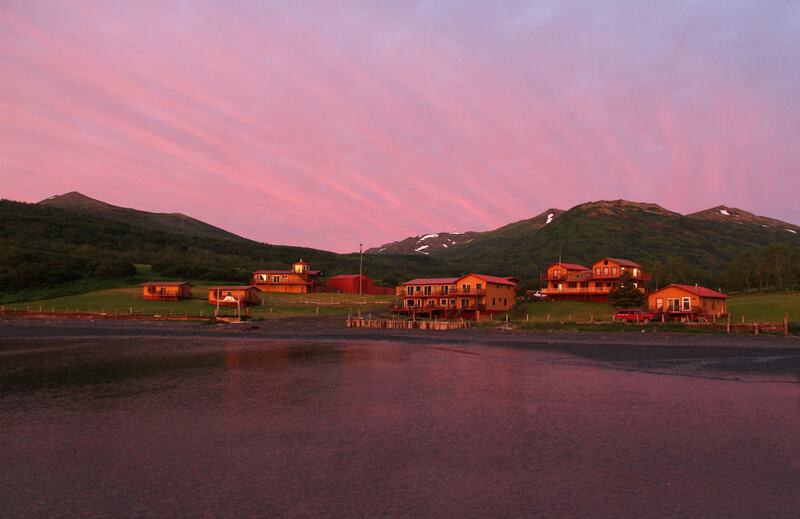 "I want to thank Mike, Tamarin, and the entire staff for a great trip to Larsen Bay Lodge...I could not be more please at the level of service we received. Anytime 12 people are involved on a trip and all are pleased when we leave it has to be a great trip. Thanks for making me look good with the group." 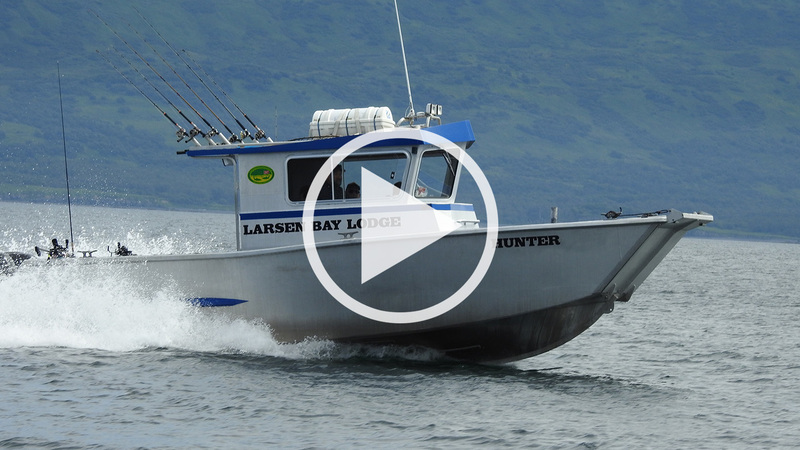 "We had a great fishing trip to Larsen Bay. The fishing guides (Wes, TJ & Eric) were Fantastic!!! The chef and the crew that worked at the lodge were also outstanding. 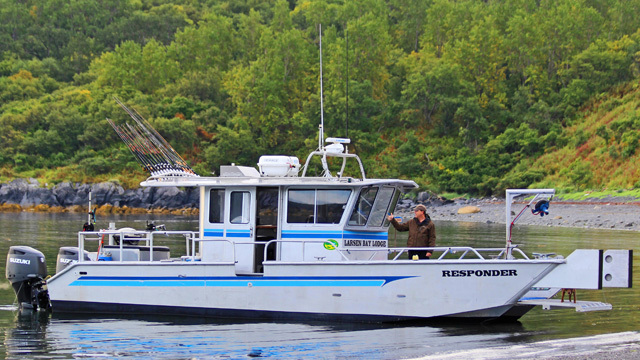 I would recommend Larsen Bay to anyone looking for a great fishing experience." "I just wanted to thank you for a wonderful stay at LBL. All of your staff did such a fantastic job in making our stay pleasant, relaxing and memorable. The food with Chef Debbie was exceptional and all of the kitchen staff did a great job. Fishing and wildlife viewing created memories and pictures for a lifetime." 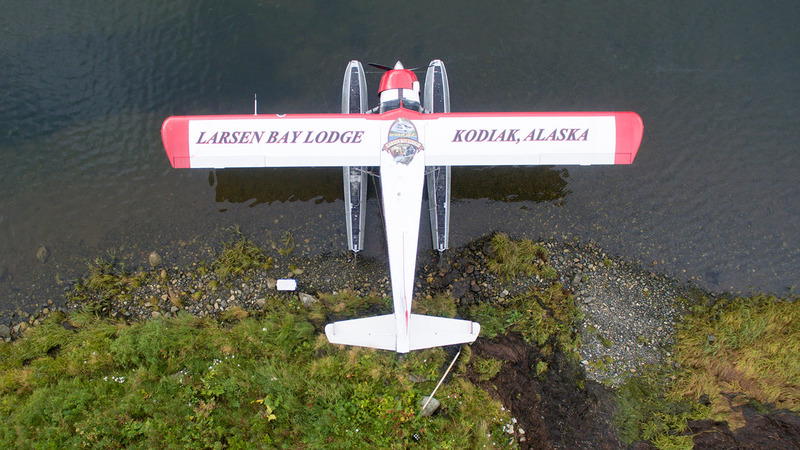 "Larsen Bay Lodge was absolutely fantastic! From the scenery to the food, everything was first class. The thing that most impressed me however, was the staff's passion for what they do and their desire to bring that same joy to me as their guest. When we were out fishing, every time we brought in a fish the guides had a genuine excitement, even though they have helped bring in thousands of fish throughout their time there." "Mike and Tamarin, we wanted to take a moment to thank you guys and your crew for showing us a great time. We have been thinking about that trip, planning and saving for years and you guys made it worth while for us. From the food, to the fishing, to the company everything was more than we hoped for. We were especially impressed by the language/lack of cussing by everyone that works for you. It is a rarity these days and was good to see." "Captain Mike made sure we knew what to expect and that we got to do what we wanted to do...the camp is run so professionally, the program so well presented that I am at a loss to suggest improvements. 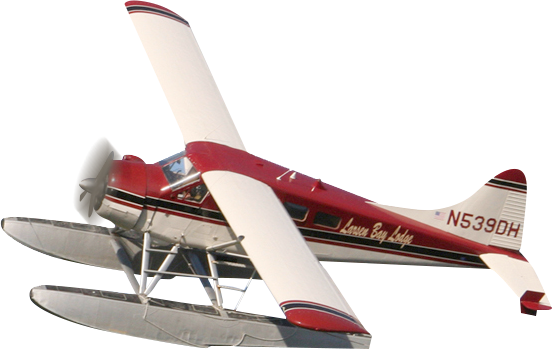 I especially want to mention Pitot Lazard, who flew us with care on our river fishing adventures. The kitchen and dinning staff were also excellent." "We want to really thank you for hosting us at Larsen Bay Lodge and gave us the best support, food was excellent as well as the guest you have there, but the biggest applause definitely goes for your well organized operation and team. We hope to see you next year." 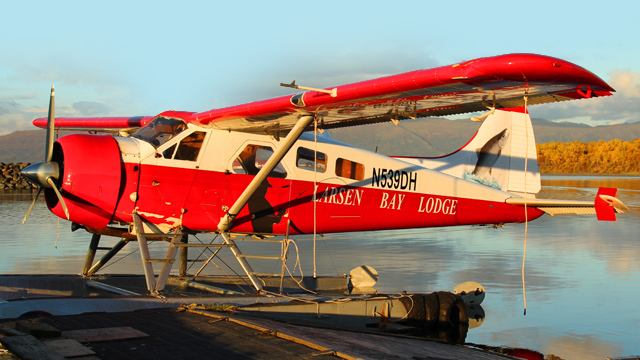 "We had an absolutely awesome stay at the Larsen Bay Lodge. Our trip was a birthday gift to our 70 year old father. He had the time of his life! Our favorite day was the fly out salmon fishing day. We saw 8 bears and limited on Silver Salmon! It doesn't get any better than that. This is a gotta do trip! Thank you to all the great staff at LBL. You are all fantastic." "Thank you. Thank you. Thank you. 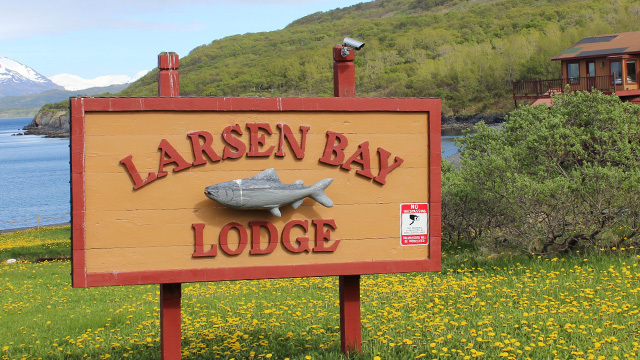 My stay at Larsen Bay Lodge was all that I hoped for and more. I am a novice fisherman and had a blast fishing for Halibut out on the sound and Silver Salmon in freshwater. The guides were extremely helpful and enabled me to hit the limit on most days. The lodge is first class...this was a vacation I will never forget."